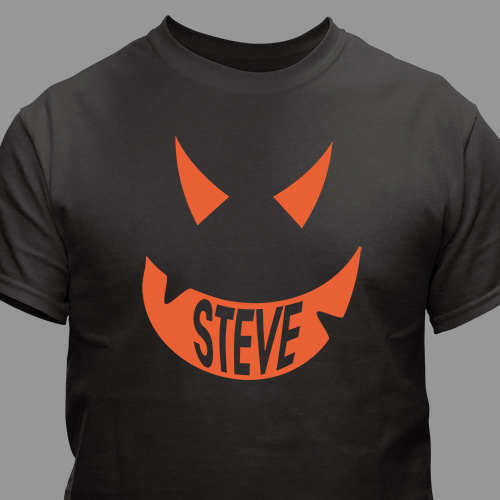 Our Pumpkin Personalized Halloween Black T-shirt is a great Treat for any one. Have fun creating unique and festive Personalized Halloween Shirts with style. Whether you want a happy or scary face, our Personalized Black T-shirt is sure to look great on you this Halloween. 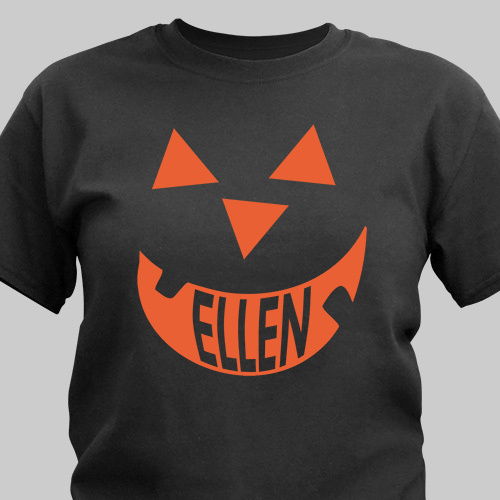 Personalized Halloween Pumpkin T-shirt included printing with any name FREE. Name is printed within the Halloween pumpkin face. Please choose Scary or Happy Face. <3 it...I'm wearing it NOW! I purchased this t-shirt for my grandson and he lived it. Additional Details Personalized Halloween shirts make unique Halloween dress up options when you go out trick or treating with the kids. Shop GiftsForYouNow.com for all your Personalized Halloween Apparel.